After overhauling my packed closet, I finally let go most of my stuff - suits and all clothes that reminded me of my past career. I needed to pursue my other passion so I made up my mind not to shop for ready-to-wear for a while. I was inspired by another blogger who did one year of not shopping clothes. You can link to her blog here. For this blouse, I used NewLook 6483 in View D but I added sleeves to it. The fabric is Swiss Dot. Its light texture makes it perfect for the summer heat. 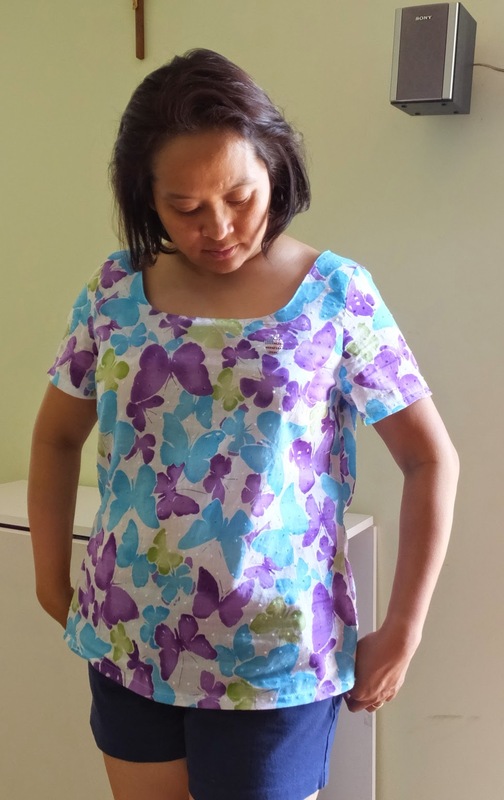 I did a test garment without the front and back facings before sewing my fashion fabric. 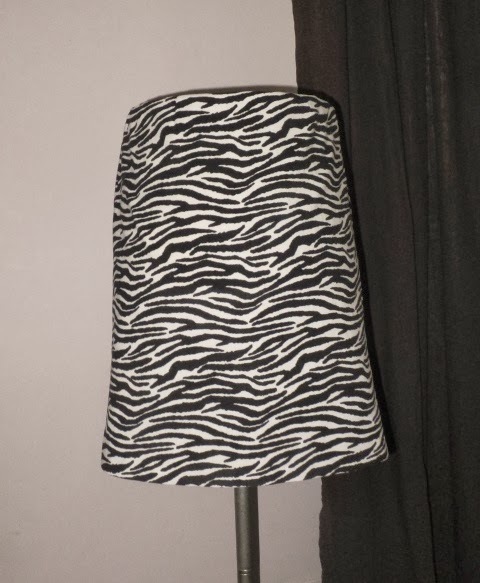 The fit was spot-on in my opinion so no adjustments were made but not until I was ready to sew the real thing. Followed the pattern instructions as written but was not happy that the last step threw me off! The shoulder seams were the last ones to be sewed and it was difficult. 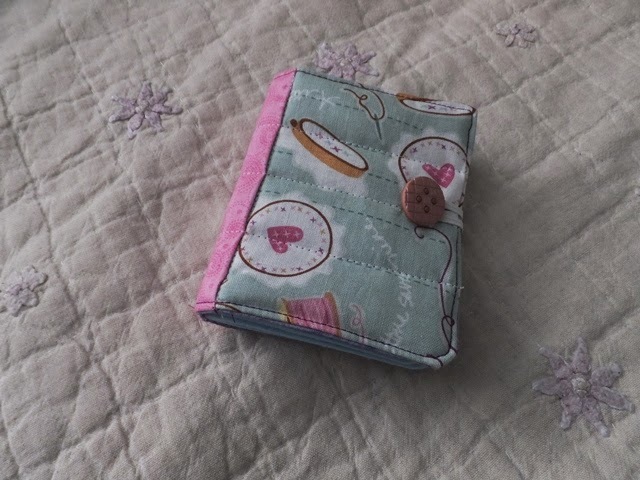 I tried hand-sewing it but it looked ugly so I tried my way instead. First, I sewed the shoulder seams and side seams then I attached the front and back facings in the shoulder and front and back neck lines. 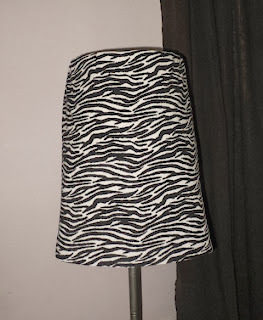 I finished the facings inside attaching it as the pattern instruction. This way I didn't have the hard time to connect the shoulders seams last which made it so frustrating. 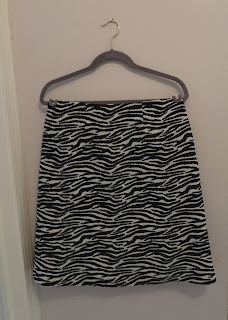 Over the weekend, I finished sewing a skirt. 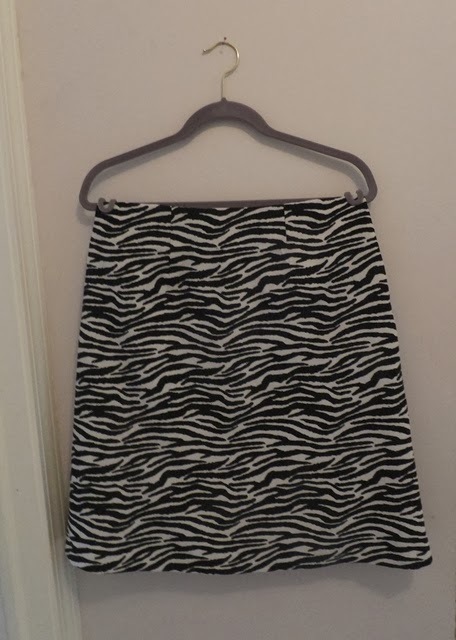 I had the hardest time perfecting the invisible zipper although the pattern was very simple. Learned to overcast, do darts and attached an invisible zipper .... overall a success! First things first! Needle organization. After procrastinating for so long, I am back to square one. The hard part is I couldn't figure out right away what needle size is attached into my machine and I thought there should be a solution to this! One day I was browsing Thread Magazine and one lady had the same problem I have. She used a tomato pincushion and marked each section with different needle size. Each time she attaches the needle to her sewing machine, she'll put a glass-head pin in the pincushion in its place. 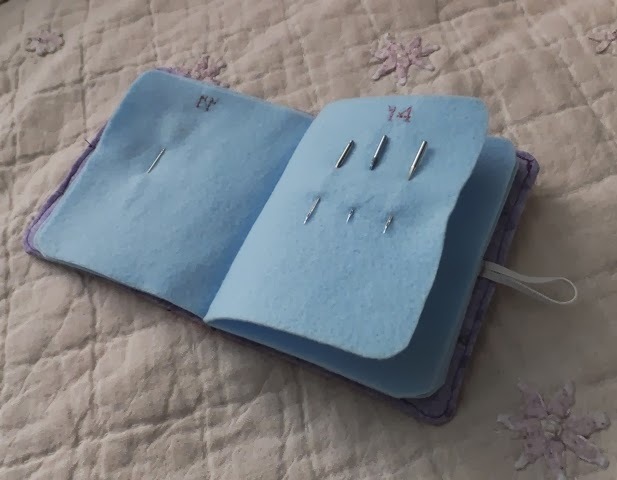 So I decided to use the same concept, I made myself a needle book and on it are pages marked with needle sizes.